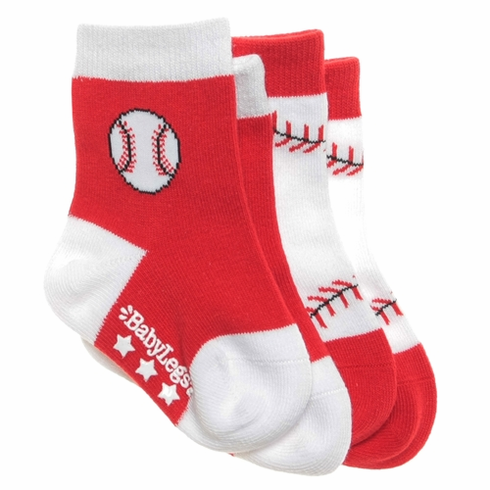 Take me out to the ball game, take me out with my socks, buy me these Fly Ball baseball socks! Your little one will be singing this tune, when they get a hold of these baby socks. Hit a triple with the red pair donned with a baseball, and slide into home with our baseball stitches design! Only $9.99 per two-pair pack!